Like the others, the site's section on making conversation covers a lot of ground. This article will provide a quick list of the main 'To Do' items that come out of it. It won't cover the 'how to' or principles behind each step, which the articles themselves go into. I'll just give an overview to focus what you need to do in the real world. Of course, skip the items you already have handled, or which don't apply to you. Different sections of the site lend themselves to their own type of task list. For the section on making friends it was simple and natural to come up with a bunch of sequential, concrete items for people to go through. The list of tasks for the conversation section is going to seem more short and general in comparison. Basically, the actions you need to do are to figure out what you want to work on, and then find ways to practice, practice, practice. 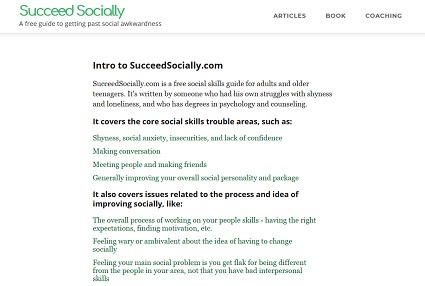 Because so many aspects of social skills impact conversation, I'll also be referring you to lots of other sections of the site if you need them. Doing better in specific types of conversation, such as big groups, or when people are joking around. Once you've come up with some goals, you may want to order them by how difficult they seem, and start with the easier ones. If that's not your style, you could begin with whichever one is the most important to you to improve. Some issues with making conversation are more technical, because a person has trouble thinking of relevant things to say, or isn't the best at applying certain principles. It's also common for people to be held back in this area by their fears and insecurities. For example, someone may want to strike up a conversation with a classmate, but be too nervous to do it. If that's the case for you, you should check out the site's section devoted those challenges. You can work on your conversation goals in tandem with tackling your fears and insecurities around to talking to people. 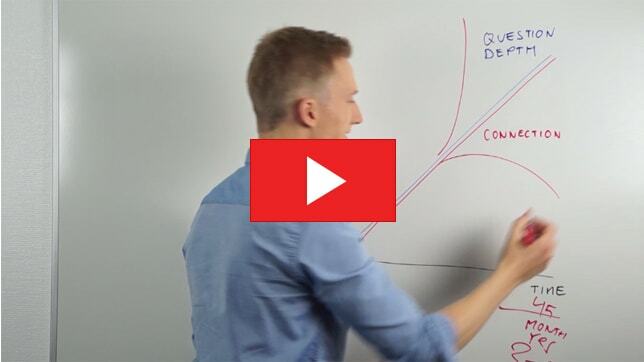 It should be simple to figure out the areas where your fears and lack of confidence are the problem. Actually dealing with those issues will be more work. This is another point that may send you off to another of the site's sections. 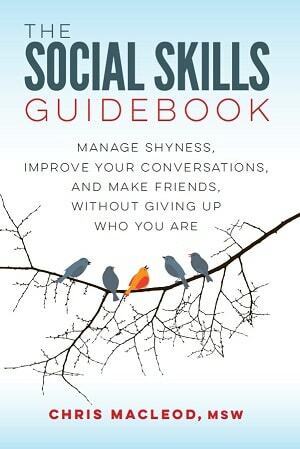 Your social skills are largely demonstrated through your conversation. That means any number of bad social habits or attitudes can have a negative impact on the way you interact with people. The site's section on generally improving your social persona may help you here. It's generally more difficult to identify your bad habits. Some are easy enough to guess, but others take longer to dawn on us. One more thing that affects your conversations is how much you've got going on as an individual. All else being held constant, someone with a boring life and few real interests is going to have less to offer in a conversation than someone who's experienced a lot. Again, the site's section on improving your social persona has articles that cover this issue. It's worth it to improve yourself as a person even if it never helps your conversations. It is an ongoing process though. With the preliminary points out of the way, this is going to be the main thing you're going to work on. It's all about piling up that real world experience. The more the better. This article suggests many of the situations you can put yourself in to get that practice you need. If your goals are about talking to people you don't know, and getting better at those first few minutes of chit-chat, you'll want to find situations where you have to converse with a lot of new people (e.g., chatting to people in public, a job in customer service). If you more want to work on the later stages of conversation, you'll you need to look for situations where you'll interact with the same people over and over (e.g., at a volunteer position with several co-workers). If you want to practice making conversation in a specific situation, obviously you have to seek it out (e.g., talking to people in night clubs). Similarly, if you want to get better at interacting with a certain kind of person, you also have to find them (e.g., a guy who wants to get used talking to other guys could join an all-male softball team). It will take a good amount of time to develop your conversation skills, and you'll likely have a harder time learning parts of it than others. It's unfeasible to control your interactions completely, but as much as possible when you're starting out I'd suggest sticking to people you know are going to be friendly, supportive, and non-threatening, such as co-workers or outgoing store clerks. As you begin to feel more proficient and confident, start expanding your boundaries. Experiment with new ways of interacting with people, like revealing your sense of humor or somewhat controversial opinions. Move towards the areas you have more trouble with, such as self-disclosure. Experiment with talking to people who are more intimidating, in situations you find more awkward (e.g., approaching someone attractive at a party). Hopefully the experience you've already attained in the previous steps will make these tasks more possible.